Melbourne gave us a lovely morning (for those living here and mouthing at the screen "are you kidding??" - there was a brief moment of sunshine around 7.30am), so by the time the neighbours were waking, we were already arriving back home from a good hour long walk and with today's post done. 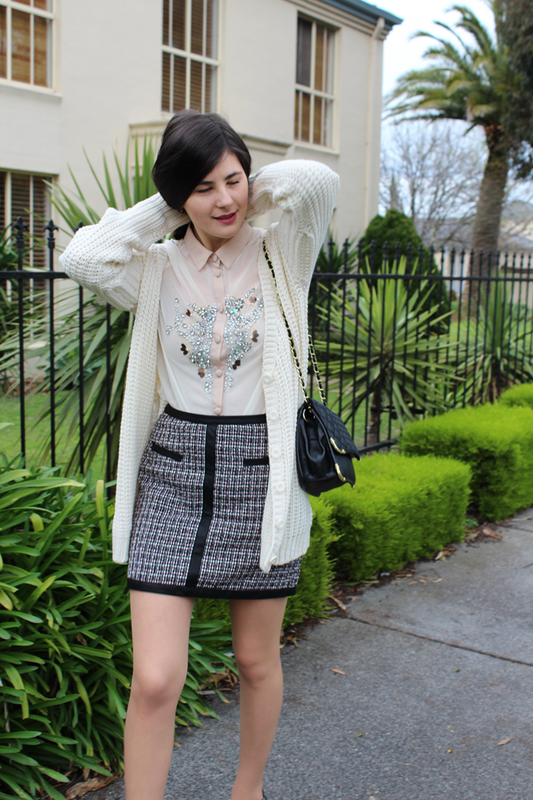 The She's A Lady skirt from Junk is just as great as its short counterpart and, thanks to Mum's styling advice, I quickly found my favourite outfit thus far when we paired it with their Precious blouse (which I also wore here) and Glassons' waffle knit cardigan. I've always been drawn to a classier sense of style and I think this embodies my ultimate outfit for warmer weather and lunch plans (of which neither were present today). It's also looking like a strong contender for what to wear at MSFW in a week's time - should the weather act like it should when then new season arrives of course. Gorgeous outfit Ivana, love the shoes especially :) The weather is getting warmer here too; hopefully it lasts! Awww sucha cute outfit!! Aren't your legs freezing?? I still can't get myself to wear a skirt without leggings! I love that cardigan, I'm looking for something similar for fall. You look so cosy! Your blouse is beautiful as well as the skirt. I love how you styled them together. This is adorable! Very ladylike and chic. I love the shirt and skirt. 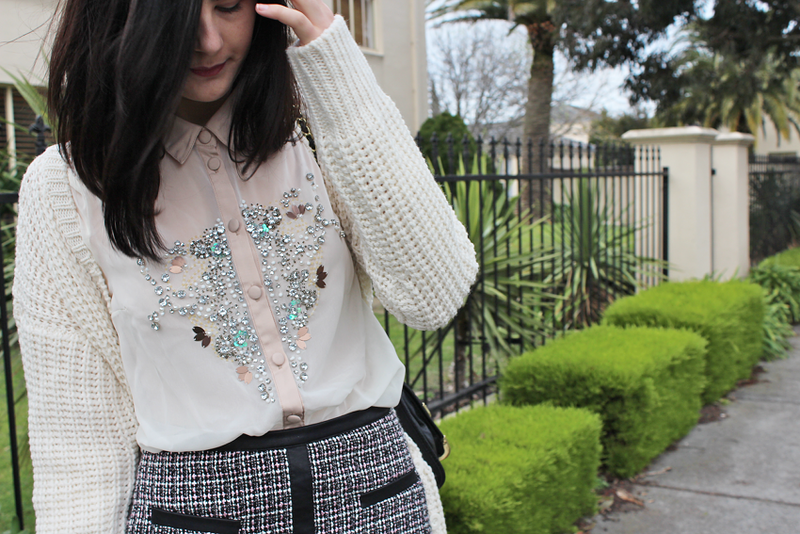 I love the embellishment on the blouse! A very lovely lady! Your whole look is perfect! lovely outfit, love that cardigan. looks so cozy, makes me want cooler weather to come now.